Time for the truth about Welfare Ranching. The superficial nonsense of not discussing such a situation involves continued scams for taxpayer money, continued complacency toward the difference of what is wrong and what is right, and the issues of incompetent government combined with special interest groups forcing themselves into large subsidies of taxpayer money – for unnecessary situations. Our natural surroundings, our environment, is in danger today. It is in danger and involves, specifically, Welfare Ranching (ranchers who graze their cattle on Public Lands) on America’s Public lands. The ranchers ignore truth and good conservation land management; which is replaced by arrogant and ignorant government agencies and Welfare Ranchers, who falsify their information to the taxpayer’s and general public. Make no doubt, America’s Public Lands is mismanaged, but mostly out of sight to the average person or taxpayer, so it continues unchecked, unregulated, and undeniably criminal within many aspects . . . The fact is laws were created to protect our Public Lands from these ongoing situations, and discussed here. Unfortunately, the people the laws were to protect the Public Lands from, the welfare ranchers and large corporations, actually populate the Bureau of Land Management and other Oversight Boards and Committees – the actual lands management situation is simply not there at all, and mismanagement, misinformation to the public, and bad science the norm. For those of us who see this daily, we wonder constantly why there is not an investigative situation exploring such obvious and criminal conduct. There is a lot the Welfare Ranching community would like us Not to See . . . As they certainly will not mention the following, or want especially American Taxpayers to know the true facts . . . But what are we talking about? Well, Welfare Ranching, ranchers who run their cattle on Public Lands, America’s Lands, via Grazing Permit from the Bureau of Land Management, are a big problem. BLM does not manage them appropriately what so ever. Corruption and criminal conduct abundant by both. The fact stands out that Welfare Ranching is unneeded in America, and not of heritage, nor do taxpayers receive any benefits what so ever from their presence on Public Lands, and a way over abundant amount of cattle per acre. Welfare Rancher entitlements from Heritage? One might ask about western ranching heritage? Well, when we peruse deeds and family ownership, within the Welfare Ranching (those who qualified for Public Lands Grazing Permits, who have not enough private land/graze for the amount of cattle owned – yet another conflict in common sense) community, we discover a majority of ownership to be corporate, or Trusts with assured tax write-offs. Something else we found rare, interesting to say the least, was no family-owned ranches have existed over a 40-year time period, and ironically, the 2% that did there is nothing to show (family relationships, et al.) beyond the 1950’s. So heritage? Not really, although some families will state heritage, but it simply does not exist – at least in accord to property deeds and titles. So why do many Welfare Rancher’s today feel entitled, when in reality no entitlement deserved . . . One can suppose, and be correct, that their entitled mentality to taxpayer money and Federal Lands be given them is “illusory superiority perceptions” at best. Because they have gotten away with corruption on Public Lands, and break laws that anyone else would go to jail for, is not an appropriate qualification toward entitlement and thousands of dollars of taxpayer money yearly. And this one of so many reason they would like to take-over Public Lands – Money! And a lot of it! One can say in truth that Welfare Ranching is a taxpayer supported industry, subsidy-driven, even though undocumented and unknown to many American taxpayers. Subsidies, within Welfare Ranching, abound with other questionable situations; which, almost all are illegal situations. The Problem here? Often all of this is ignored or left unenforced by the oversight and regulating government agencies. Here exists one example of many, how the BLM backs down form what is nothing more than a Welfare Ranching epidemic that should be discontinued – and more recent examples abound of Welfare Ranching conduct, and over the years costing taxpayers vast fortunes – so yes, they want Public lands for themselves, and supported by taxpayer money to continue. But remember, in no way is this unique, as a book could be written about Welfare Ranching improprieties, dishonesty, and criminality. BLM, because it is family-religious-oriented in their hiring practices, and a government agency packed with rancher-connections (i.e. family and neighbors alike, et sl. ), the illegal activities are allowed, so to speak. Federal and state laws apparently do not apply to neither Welfare Ranchers or BLM employees, with many simply ignored, or bought-off (i.e. the history of BLM and wild horses going to slaughter only one of many examples). And keep in mind, the Taylor Grazing Act was designed to “Protect” Public Lands from rancher impropriety and misuse and overabundance of cattle placed on Public Lands, as it was perceived, and foreseen even then – yet ignored in total. One can say in truth that Welfare Ranching is a taxpayer supported industry, subside-driven, even though an unknown to many American taxpayers. Subsidies abound with other questionable situations. Undeniable that almost all are illegal situations, and also ignored or left unenforced by government agencies. Here is an example of collecting money by Scam (excerpt from Newspaper Article). So why the anti-government rebellion? Nothing more than a smoke-screen, and the rebels will leave you with a lack-of-facts – because if you knew of these facts, they would appear very much as petty criminals, or some state like little children trying to pull a fast one on their parents. Collecting drought money and stating no drought . . .
“In June, tough-talking ranchers in remote Battle Mountain, Nevada, defied the federal government, herding cattle onto public rangeland that had been closed to grazing to protect it during the West’s scorching drought. That act of defiance capped two years of protest against grazing restrictions imposed by the U.S. Bureau of Land Management, which manages thousands of square miles of arid federal land in Nevada. In the end, the federal government backed down from the confrontation in Battle Mountain. 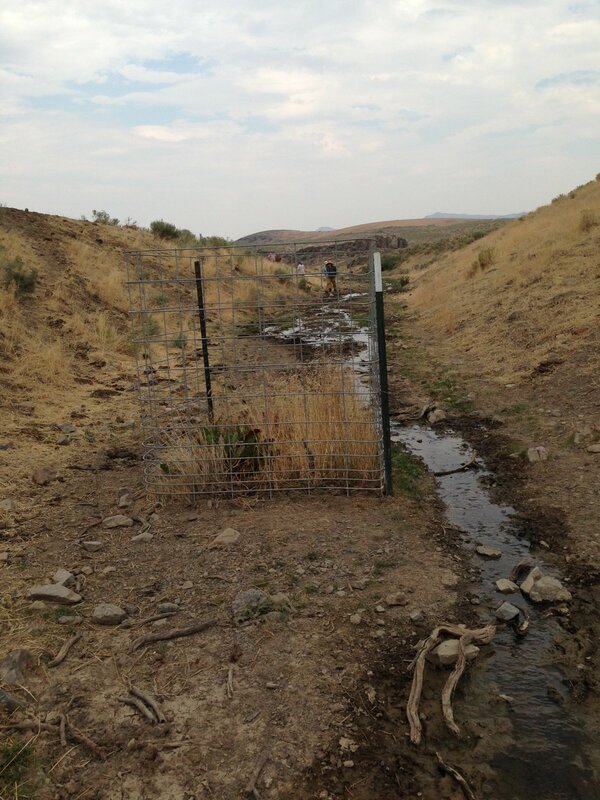 The BLM canceled the drought closures and opened the range, just as the cattlemen wanted. By denying the severity of the drought – and by claiming that “rogue” federal bureaucrats threatened them with economic ruin – the ranchers won the day. But even as the conflict played out, some of these same ranchers were collecting drought subsidies from the federal government. On one hand, they denied the drought. On the other hand, they embraced it. According to records obtained by Reveal, two ranching families at the center of the Battle Mountain protests received $2.2 million from a federal drought disaster relief program. Don Filippini, the protest leader who turned hundreds of cattle loose on the closed range, was paid $338,000 by the U.S. Department of Agriculture’s Livestock Forage Disaster Program in 2014, records show. Another $750,000 federal payout went to a trust and corporation associated with the Filippini family, which long has been active in ranching in Nevada. Meanwhile, significant payments also went to the family of Battle Mountain cattleman Peter Tomera, who with his wife and sons rode on the Grass March Cowboy Express, a 2014 horseback ride to Washington, D.C., to protest the government drought restrictions. The records show that the government paid $250,000 to a Tomera family trust and another $360,000 to a family corporation. An additional $540,000 was paid to other members of the extended Tomera family and to a related corporation, records show . . .
. . . Rather than moving against Dan Filippini for trespassing – and risking a prolonged Bundy-style confrontation – the BLM quickly negotiated a settlement. Under its terms, the closed range was reopened to grazing. In exchange, the Filippinis agreed to drop further appeals of the prior closure orders. Environmentalists complained that the BLM rewarded the ranchers for violating the law, allowing them to run cattle on a drought-stressed range that they said already was battered by decades of overgrazing. In all, the USDA’s livestock disaster program paid out more than $204 million to Nevada cattle and sheep ranchers in 2014, records show. The payments were for losses claimed in 2012, 2013 and 2014. This inclusion, which many more similar situations exist, shows us these are not the honest ranchers of decades past, and part of America’s Heritage – Nope, these people are a different situation entirely, and money, not ranching or heritage, is their motive, their priority, and they really do not care how they get it, but they want it – and deception is their game . . . Frankly, between the taxpayer money and other wildlife and wild horses, for example, that are killed yearly, and among the criminality involved and other questionable conduct – the sacrifice to America, and American’s, is simply to great – especially for a situation that is totally unnecessary. The fact is we can do without welfare ranching, and not even notice it has been discontinued. Yes, we could then go out to our Public Lands, enjoy not only the healthy environment, but seeing Wild Horses and other wildlife, and drink the water from the creeks in the areas we visit. Right now Public Lands is being destroyed, and American Taxpayer’s have no idea they are paying for the destruction and killing of wildlife. And that’s the bottom line entirely!